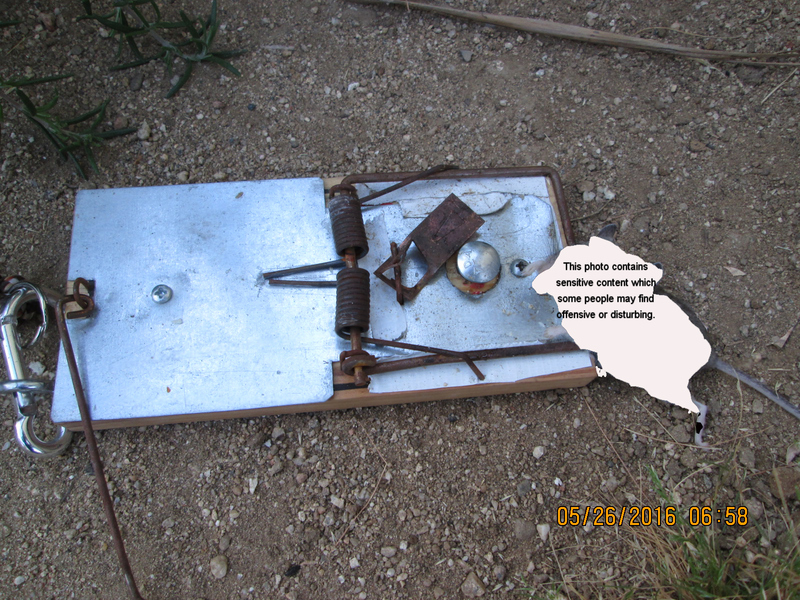 A basic rodent trap uses an antiquated metal pedal catch to hold bait and secure a spring loaded kill bar. 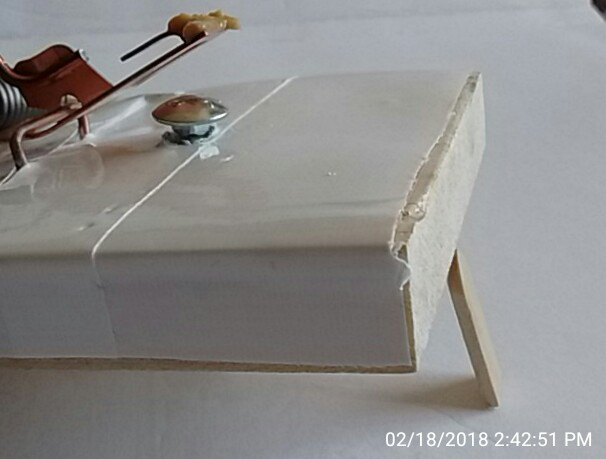 Problem is some rodents take their time eating off these unimproved bait catches enjoying every moment and then simply walk away making bait catch kill bar useless. 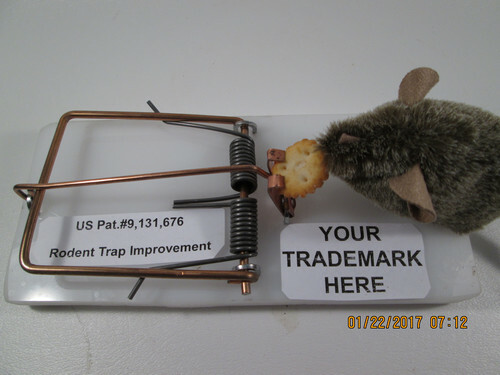 My simple patented better bait catch improvements increase odds a rodent big or small will be enjoying its last meal. 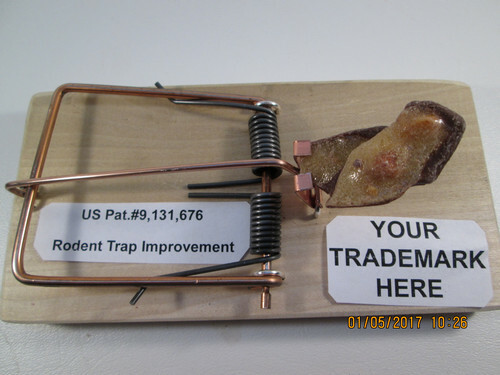 There are two very similar traps currently manufactured and sold by nationally-recognized US companies based on an expired US patent #2,761,240 Trap issued September 4, 1956. 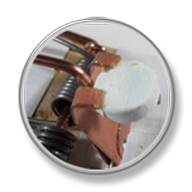 Both companies have ignored 63 years of customer complaints to improve their bait catch sensitivity so it works every time. 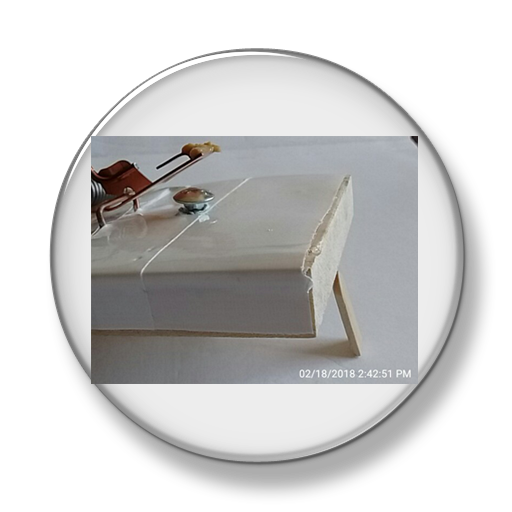 My patented traps using 21st century better bait catch technology stop a rodent from eating for free and walking away. A bait catch treat could be beef jerky, breadstick, chip, cookie, cracker, nut, pop-tart, pizza crust, pretzel or a triscuit complimented with a 1/4 teaspoon of peanut butter in a variety of configurations as shown below. 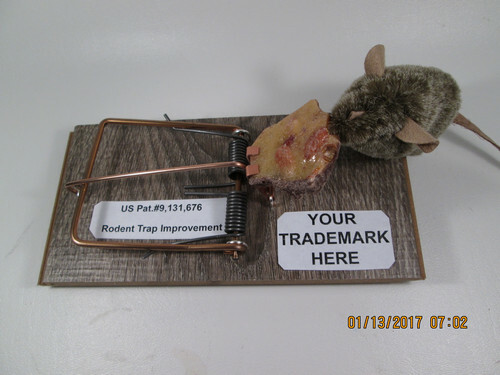 "Many humane societies, such as the Humane Society of the United States and Humane Society International, advocate for a ban on using glue traps." 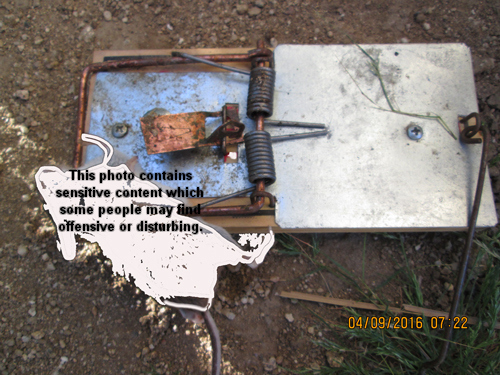 See Rodent Trap Improvement 1 - 37 or Snap Trap Actuator 38 - 41 issued December 26, 2017 below. 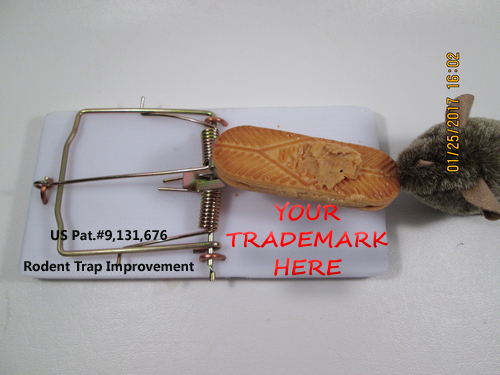 36 - nonslip cutting board platform baited using peanut butter sandwich cookie and un-neutered male cat trademarked trap! 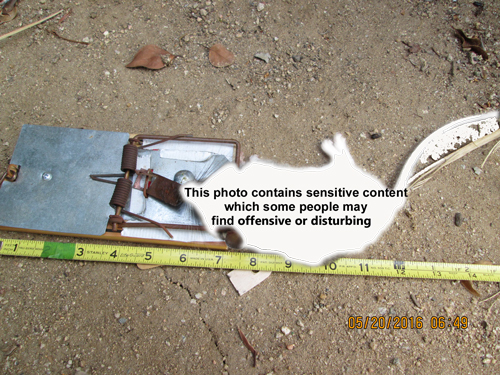 un-neutered male cat trademarked trap! 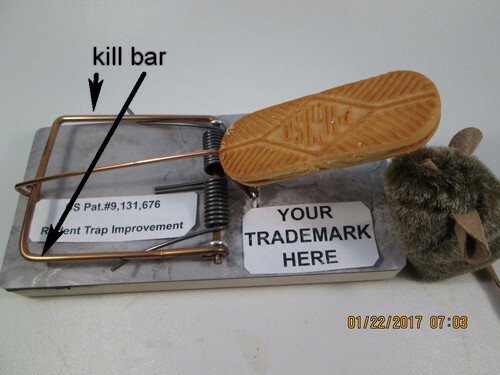 I have a three more patentable innovatively simple methods improving my patented Rodent Trap Improvement and Snap Trap Actuator. and has nothing to do with rodents. It is for humans and what we do every day! 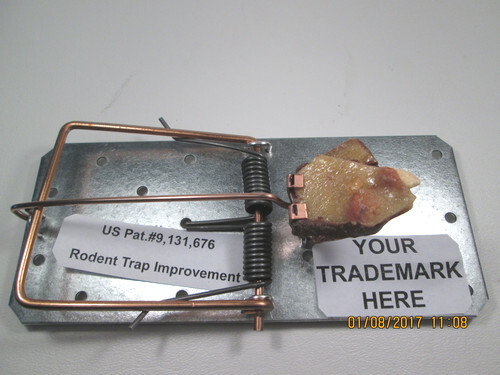 Consider World Wide Billion $ sales market using your company's ubiquitous trademark on my better patented Rodent Trap Improvement and/or Snap Trap Actuator. IP rights or licensing available. 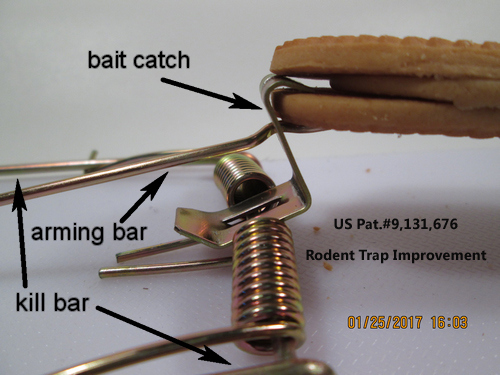 Disclaimer: Use your mouse or finger to gently lick breath mint on my US patented Rodent Trap Improvement bait catch.